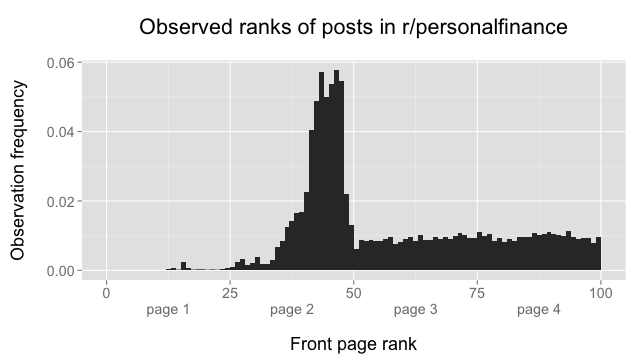 Fortunately reddit makes it very easy to collect data: the front page is always available as JSON at https://www.reddit.com/.json. 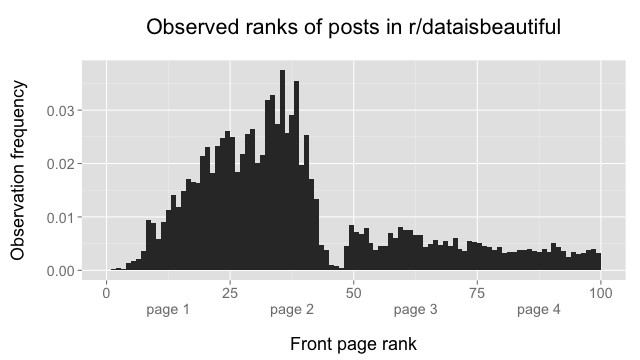 I set up a simple Rails application to scrape the top 100 posts (pages 1–4) from reddit every 5 minutes and dump the data into a PostgreSQL database, then I wrote some R scripts to analyze the data. 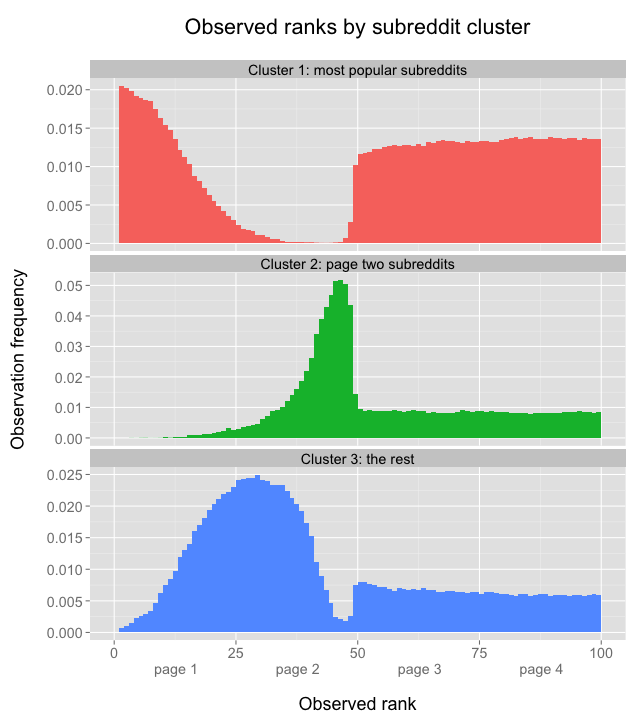 All of the code and data used in this post are available on GitHub. 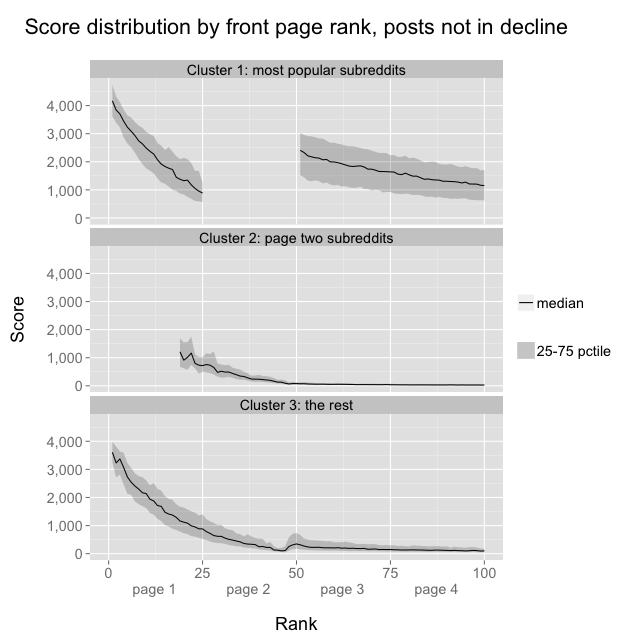 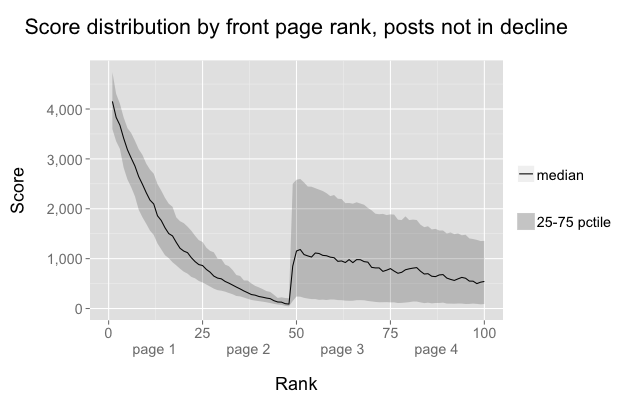 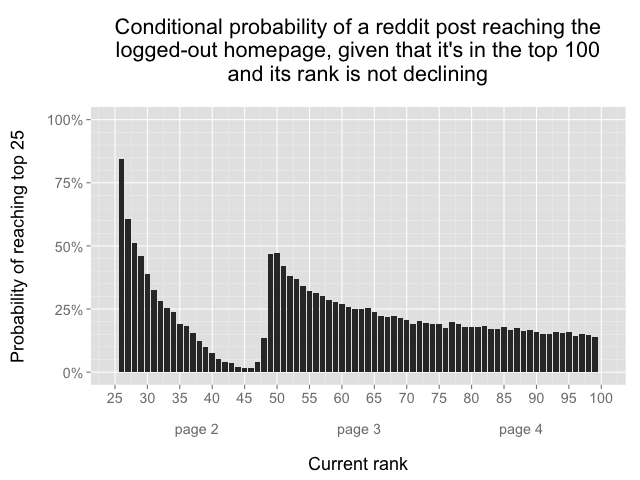 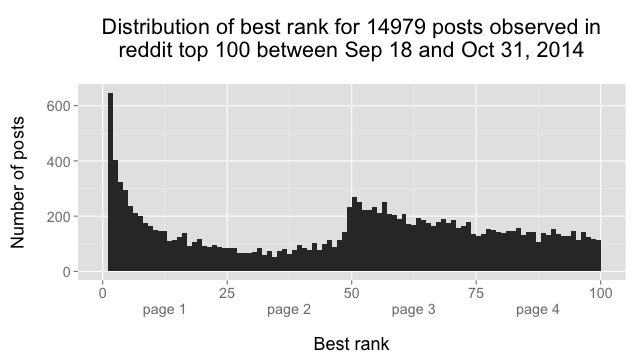 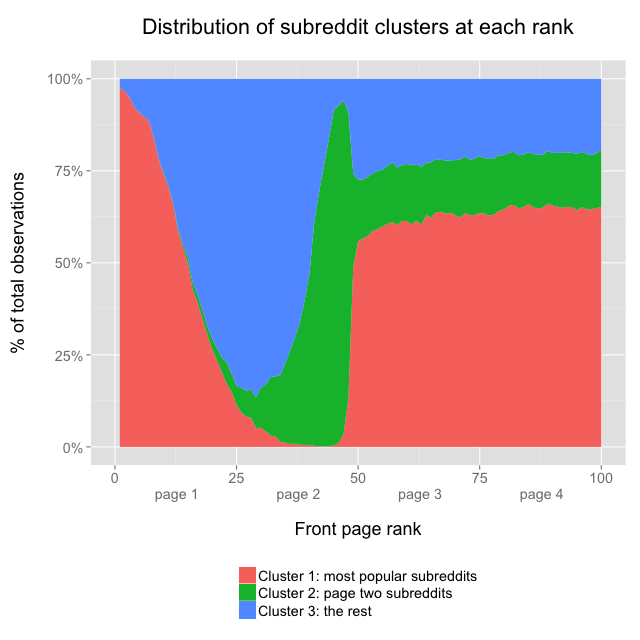 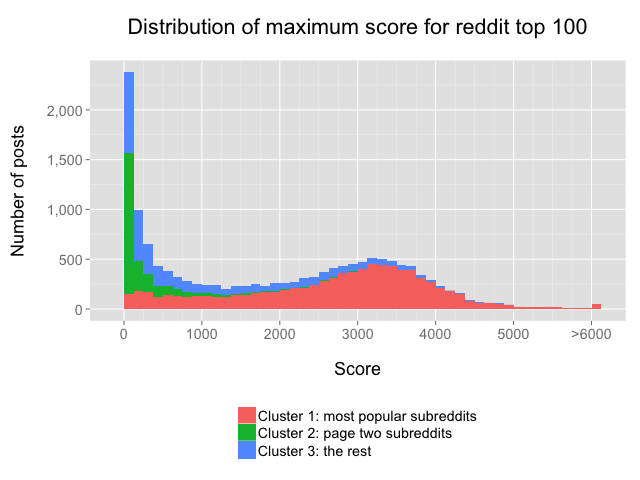 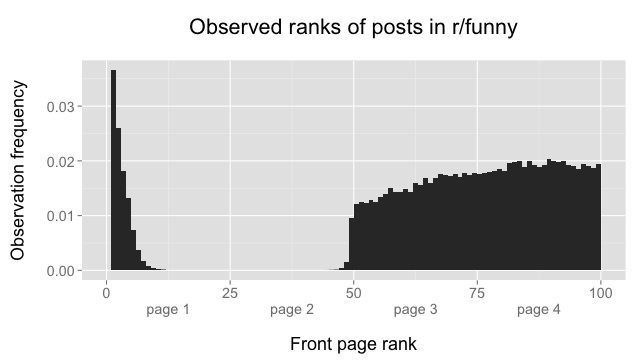 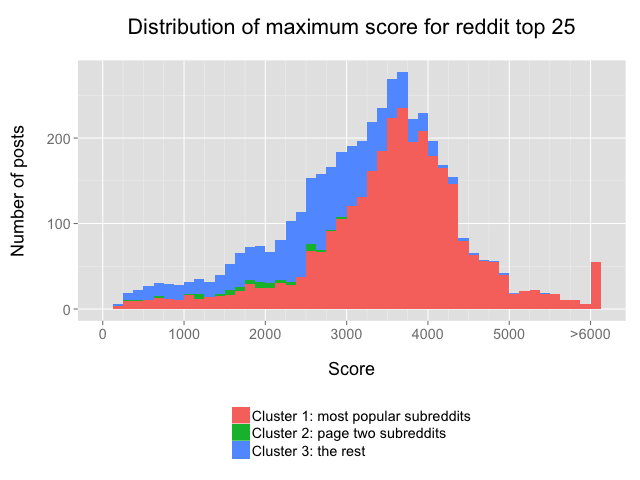 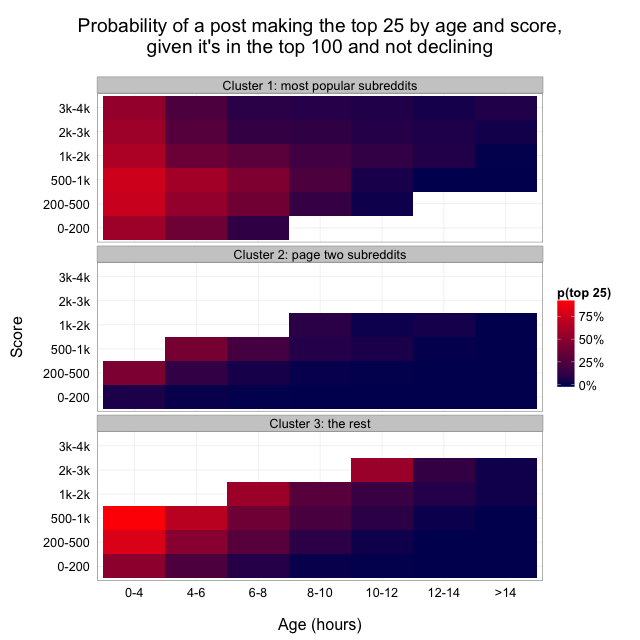 Plenty has been written about how reddit’s ranking algorithm works, the short version is that a post’s vote score and submission time (age) are the most important factors, so the highest ranked posts will be the ones that earn a disproportionate number of upvotes over a short time period. 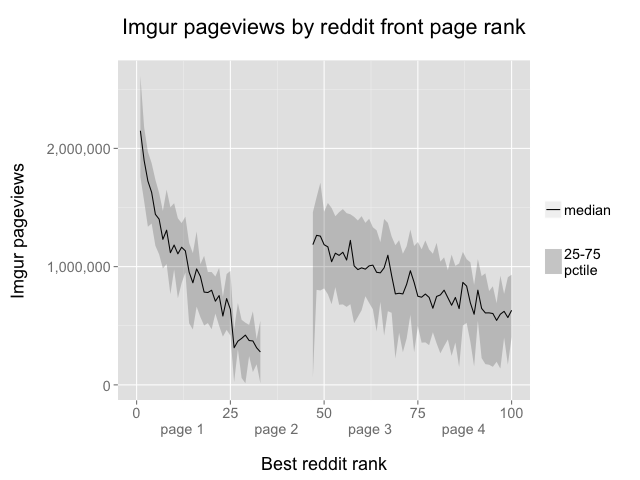 As we’ll soon see, though, votes and age are not in fact the only important factors that determine rank on reddit’s default front pages. 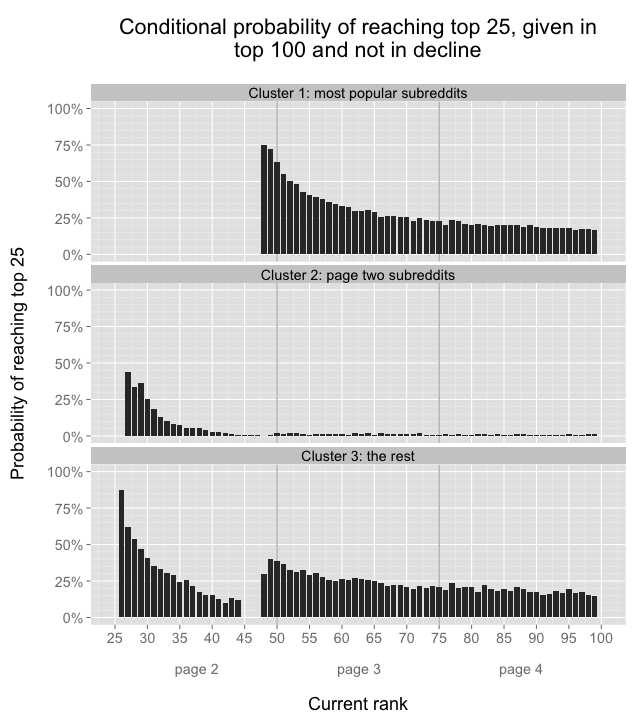 I’d be curious to see what would happen if all subreddits were treated equally: my guess is that the reddit default top 100 would contain an even higher rate of funny pictures, but who knows, maybe there’d be some unintended side effects that would lead people to upvote more varied content.